Will you please mark this letter3 for a fast boat and mail it for me? All letters sent abroad from here go via Quebec4, on the C.P.R boats5, which are very slow. It’s so cool here I can hardly imagine New York6—But I hope you have better weather by this time. 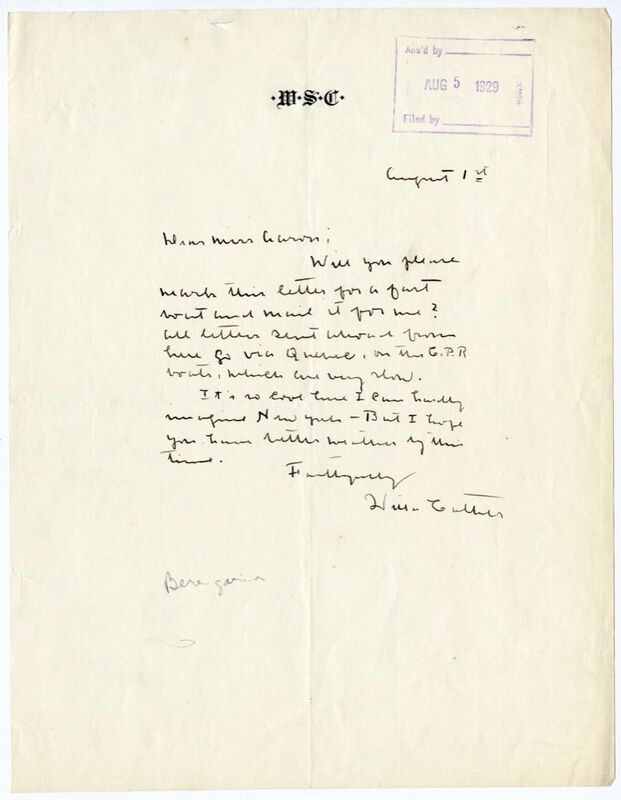 On 9 August 1929, Aaron reported that the letter "got off on the Berengaria." The unidentied recipient was evidently in Europe. Coastal vessels of the Canadian Pacific Railway.